It was with trepidation and nerves I headed to see The Great Gatsby this weekend. Having read the reviews and heard second hand a few times ‘it’s not meant to be good’ it was understandable. The F Scott Fitzgerald book is one of my favourites, and Baz Lurhmann? I just LOVE what he does with film. I’ve been playing the soundtrack on repeat and I’ve honestly not looked forward to a film’s release so much. When the film’s release had been put backwards, forwards and backwards again, I wondered what the heck was going on. Then with about, let me count…1,2,3,4,5… (I stopped at 5) different trailers being released, I was starting to wonder if there would be anything left of the film i’d not already seen. But I was going regardless, and I was going to love it. I was, I was, I was. The fast cars, fast women and laid back millionaire men came alive and it is a feast for your eyes. Because I’d read many reviews in my wait for the release I became so nervous that even in Baz Lurhmanns hands it would fail. I’d read that Toby Maguire was miscast, (a thought I had myself but seen in full film, he fits well) and that the film in general falls short. But do not believe this – You will laugh, you will feel the pain, you will be shocked, you will be entertained. Carey Milligan looks like she transported herself back in time, brilliantly capturing all the romance and glamour of the roaring 20’s. The costume and set are perfect, they capture the excitement, the heat and the time well. And is she not just the luckiest actress in the world? Leading lady to Ryan Gosling AND Leonardo DiCaprio? Surely she’s lucked out by now? But she is gorgeous and she could act in her sleep. The more I see of Leonardo DiCaprio on screen the more I am starting to think he is the definitive actor of our time. And oh he’s the Gatsby girls dream of. He’s the millionaire you want throwing parties in case you might turn up, the guy you imagine in your wildest dreams building a mansion across from your house and standing on his jetty watching you (which, because he’s fit, isn’t at all creepy) I can’t think of another actor around now who could have played Gatsby and I nurse a little thought that Lurhmann wanted Leonardo from the off. He gets better and better in every role. Since Django Unchained, (so nice to see him playing the bad guy) I have started to notice him more and seek out his films, I’m no longer thinking bog standard, gorgeous, crowd drawing actor. 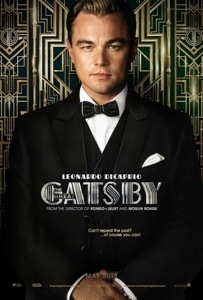 As Gatsby is a much loved character, personal to us, embodied by Leonardo, he is everything I thought he would be. He captures the pain, the struggle and the sacrifices Gatsby has made to get where is is. As a big fan of Lurhmann’s work I did expect more. But only because I’m greedy and because he’s set the bar for his work so colourfully, lavishly, flamboyantly high. While I expected more riot (which comes from an inherent desire to live on a Lurhmann set as long as possible), I did not miss it. The only critical point I have is for the pace of the film, there were two or three times I wanted to sit forward in my chair to make things go faster. The natural ‘flow’ of the film was missing for me. Being too critical? Possibly. And maybe the long languishing scenes were perhaps wasted on grey colours and not indulging us with the colour of New York, the clubs, the Gatsby Parties or the awesome soundtrack, but again that is greed on my part. What’s important to remember is that the plot in The Great Gatsby is small, it’s not a lengthy book, you could almost condense the film into a short dinner conversation story. “I used to know this guy called Gatsby, he used to date this girl called Daisy and five years later…..” You see where I’m going? Lay the story out bare and there is not much to play with. There are no massive explosions, state presidents kidnapped, clock ticking away with hidden bombs, Gatsby is old-time. 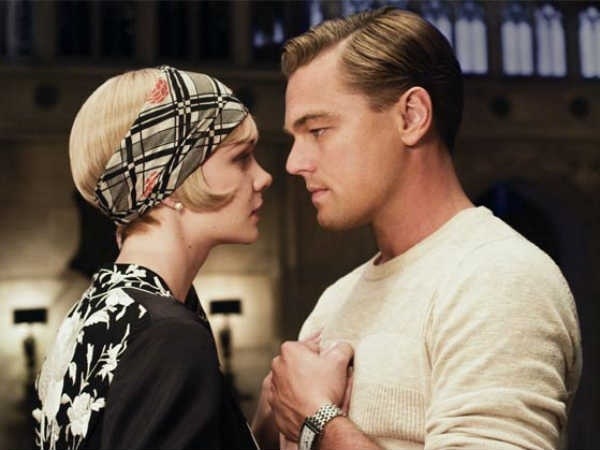 The characters are complex but overall, Gatsby is a simple story. The film’s tagline line is, ” Can’t repeat the past? Why of course you can” and Baz Lurhmann has proved this. I’m excited to hear your thoughts.